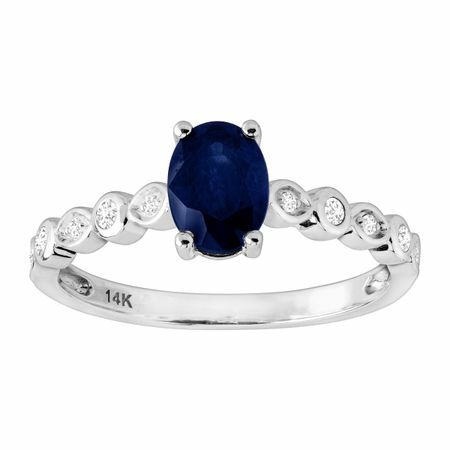 Sapphires can be a girl's best friend too, especially when you pop the question with this astonishing ring! A front-and-center 1 ct oval-cut natural sapphire is nestled in its 14K white gold setting with round-cut diamonds, totaling 1/10 ct, lining the band. Sapphires will forever be her favorite after she says 'yes!'. Ring face measures 3/16 by 1/4 inches.